After quite literally days of planning, and whole hours of work going into it – the Failed Critic podcast has arrived! We know it’s just 3 blokes who barely know each other talking about films, but we’re pretty proud of it for a first go and hope that you enjoy listening to it as much as we enjoed recording it. If you think we show any promise at all, please subscribe and spread the word. 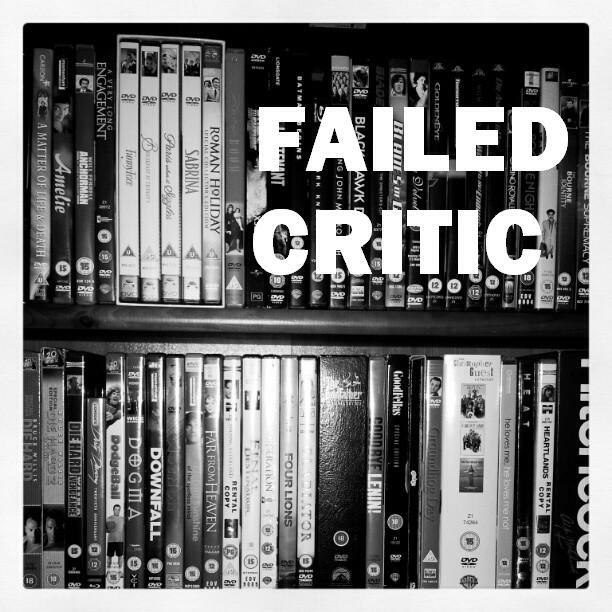 From the studio that brought you the Born Offside Podcast: the inaugural episode of the Failed Critic podcast, featuring Steve Norman, James Diamond, and Gerry McAuley. This week the Failed Critics discuss the horror-genre game-changer The Cabin in the Woods, and discuss the three films they could watch forever in the Desert Island Movie Triple Bill. We also have their thoughts on films as diverse as Rocky, Primer, and the yet-to-be-released God Bless America. Meanwhile Steve ensures we’ll never get Keanu Reeves as a guest, Gerry ruins any chance he ever had with Rhianna, and James predicts the year that Ron Howard’s brother dies.